With Season 5 of HBO's epic fantasy drama having concluded this week, we thought it would be a good time to discuss it in detail. 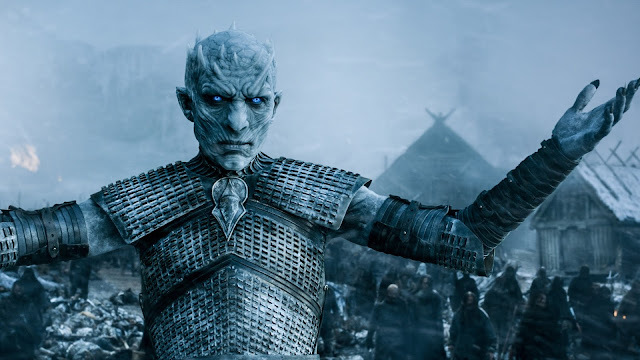 Please note that this show was recorded just after episode 8: Hardhome aired, so you'll have to wait for a future show before we get into the shocking death of [SPOILER], the timely return of [SPOILER], that truly epic [SPOILER] of [SPOILER] and our thoughts on what might occur in season 6. It's all about the seven kingdoms on this week's #NOTwatching Podcast! It can be slow sometimes and there are a lot of characters to keep track of, but it's so worth persevering with. It's head and shoulders over everything else on TV!